WEST PALM BEACH, Fla.—A Chinese woman charged with bluffing her way into President Donald Trump’s Florida resort last month, raising concerns about security at one of the president’s weekend getaways, entered a not guilty plea on April 15 in federal court. 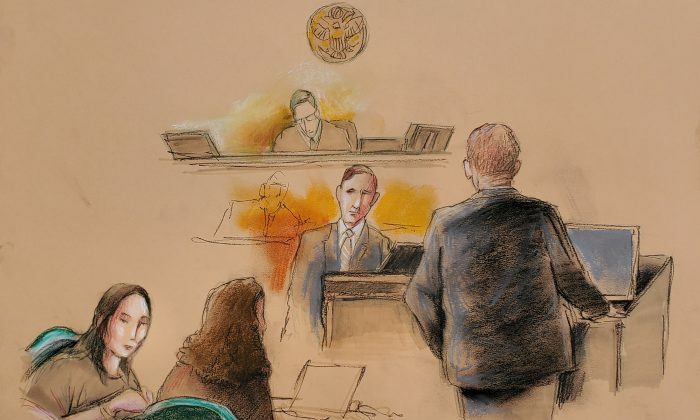 Yujing Zhang was formally indicted on Friday on charges of making false statements to a federal officer and entering or remaining in a restricted area. The counts carry a sentence of up to five years in prison. She has not been indicted on any espionage charges. The FBI is examining whether Zhang has any links to intelligence agencies in China or political influence operations, two U.S. government sources have told Reuters. Zhang, who is either 32 or 33 years old, according to court documents, was arrested on March 30 after giving conflicting reasons for being at the Mar-a-Lago club in Palm Beach during one of Trump’s weekend visits, an incident that renewed concerns about security at the club. Prosecutors have said Zhang was carrying four cellphones, a laptop computer, an external hard drive and a thumb drive containing what investigators described as “malicious malware” when she was arrested by the U.S. Secret Service. Following the Zhang intrusion, congressional Democrats renewed calls for the Trump administration to brief them on Mar-a-Lago security. They initially asked to be briefed in mid-March after news reports that Li “Cindy” Yang, founder of a chain of Florida-based massage parlors, was selling access to Trump and his family to clients from China.